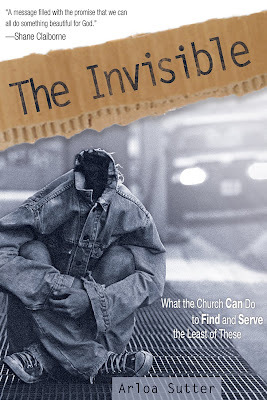 I really appreciated this blog post from Ed Gilbreath. Here's a link to an MSNBC video about the surge in the number of people using food banks to supplement their shrinking resources as fuel and food prices are rising. The report says the numbers are up 15 to 20% and even higher in some communities. Thousands of middle class Americans are visiting food banks for the first time. The Missions and Programs Committee of the Greater Chicago Food Depository toured our new facility and held a meeting at our site today. I am so impressed with the leadership of the GCFD. You can sense from everyone involved that they are passionate about what they do and have established a culture of personal care and excellence. I appreciate that they are moving more into the area of advocacy to address the root causes of hunger. They want to work more closely with grassroots organizations like ours. We are blessed! Peter Kahn, a high school teacher at Oak Park/River Forest, remembers Ishma Stewart, one of his former students as "incredibly bright, ambitious, with an electric smile". She was well on her way to "making it". When he heard she was shot four times in a parked car on Sunday night, he sobbed. Here's a quote from his beautifully written tribute. Over the years, I’ve taught my share of tough kids. With them, I brace myself for bad news while hoping for the best. With Ishma, I only anticipated success. The circumstances of her death are so shocking and senseless that I know there’s nothing I could have said, nor done, to have prevented it. We can’t go back in time and have Ishma avoid 48th Street and Indiana Avenue on the Sunday night she was murdered. Nor can we afford to let her killing be another headline that fades away. If we don’t figure out how to replenish hope in Chicago’s young people, another person will choose to shoot into a parked car. As a teacher, I’ve learned that getting students to see a hopeful future to invest in is the best way to engage the toughest kids. We need to figure out how to do this broadly, or prison visits and funerals for young people will continue to be a part of the fabric of our lives. Kate Maehr, the Executive Director of the Greater Chicago Food Depository, blogged about her visit to Breakthrough last week. Kate served the GCFD as their Director of Development through the years when they expanded into a beautiful new 268,000 square foot building after a successful $30 million capital campaign. 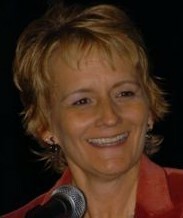 She was promoted to Executive director in 2006. We were especially blessed to have her visit our new building and to write such kind words about it. Kate is a respected leader among Chicago not-for-profits. You can read more about her here. Thanks Kate! Thanks to my friends Donny and Tom for sending me this pictorial representation of the food families consume in one week throughout the world. "A genuinely Christian reflection on social issues must be rooted in the self-giving love of the Divine Trinity as manifested on the cross of Christ; all the central themes of such reflection will have to be thought through from the perspective of the self-giving love of God." I had the wonderful opportunity recently to meet with Steven Levitt in his office and talk about the importance and the possibilities of research in the areas of Breakthrough's work. Levitt co-authored the book Freakonomics and is currently the Alvin H. Baum Professor of Economics at the University of Chicago, director of the Becker Center on Chicago Price Theory at the University of Chicago Graduate School of Business, and co-editor of the Journal of Political Economy published by the University of Chicago Press. He was, of course, brilliant and very interesting to talk with. One of the comments he made that struck me was that he doesn't feel that most organizations like ours really want research because we don't want to know if we are not being effective. Ouch! It reminded me of John McKnight's claims in the book, The Careless Society, that social programs and social professionals perpetuate an uncaring industry primarily for our own purposes. So, let me say, I want research. I want to know what works and how we can improve our services. And, while I know professional caregivers can become callous and ineffective, I don't agree with McKnight that professionalism precludes caring. When I need eyeglasses, I don't just want someone who cares about whether I can see or not, I want a trained professional who knows how to give me a good contact prescription. But, of course, the key is to find caring professionals who use their training and gifts to minister with the love of Jesus! Levitt mentioned the possibility of Breakthrough being able to get some help with research from Sudhir Alladi Venkatesh, which excites me very much since I am currently reading two of his books, Off the Books: The Underground Economy of the Urban Poor, and Gang Leader for a Day. 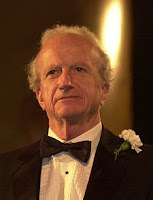 It was a treat to accompany Levitt after the interview to a box lunch lecture by economist, Dr. Gary Becker, who spoke about inequalities in education. It was interesting to look at education from an economic perspective, supply and demand. People with education are happier, healthier, live longer and make more money. Globalization is increasing the supply of low-skilled workers leading to sinking salaries while driving up the demand and pay for educated workers. Education is a human capital investment with huge return. He asked the provocative question, so why are we not investing more in education? Here's a practical investment opportunity for you. We found last year that the kids who participated in Breakthrough's Summer Studies Program gained three months in their reading scores, while those who did not participate fell back three months, a six month difference! With four years of participation in the Breakthrough Summer Studies Program reading scores will comparatively advance two grade levels. The Summer Studies Program costs $1,786 per student, or $223.25 per week. This summer we will enroll 50 students, and we’ll watch them take strides toward reading proficiency and so much more. Grammy winning Christian singer Steven Curtis Chapman's teenage son accidentally ran over their five year old daughter last night with the family's SUV. His daughter, Maria, was killed in the accident. A blog has been set up for people to write their condolences. Listen to this beautiful essay by Sara Miles who met Jesus by opening herself to strangers. Here's a link to an article in today's New York Times about "Racial Inequality and Drug Arrests". The article discusses large disparities in the rate at which blacks and whites are arrested and imprisoned for drug offenses, despite roughly equal rates of illegal drug use. Black men are nearly 12 times as likely to be imprisoned for drug convictions as adult white men. Mystify us, arouse and confuse us. Shatter our illusions and plans so that we lose our way, and see neither path nor light until we have found you, where you are to be found and in your true form---in the peace of solitude, in prayer, in submission, in suffering, in succour given to another, and in flight from idle talk and worldly affairs. And, having tried all the known ways and means of pleasing you and not finding you any longer in any of them, we remain at a loss until, finally, the futility of all our efforts leads us at last to leave all to find you henceforth, you, yourself, everywhere and in all things without discrimination or reflection. I have an anonymous commenter who has called me "tiresome, trifling and patronizing". Hey, sorry, I don't mean to be. I wish I was smarter and a deeper thinker. I am a very average person trying to make it in the world. Why do I blog a lot about black/white issues? Cuz, I am a rural white woman of German American descent living and working in a community that is 98% African American and I'm trying to understand the implications of race in this context. I know I simplify. I know I have lots to learn. I invite you to a more personal discussion instead of the constant putdowns that I delete cuz they make me feel small and don't really generate discussion. Feel free to email me personally instead of the curt anonymous criticisms. Perhaps you can help me understand why you are so angry. Sorry if that sounds patronizing. Here's a cool link to a web site that calculates your walk score by how far you have to walk to get to grocery stores, parks and restaurants. My walk score is 51 out of 100 and if you click on the street level view you can actually see the front of my house. Amazing!! Ta-Nehisi Coates discusses Bill Cosby's journey from genial TV dad to fierce social critic. I attended a gathering of Christian leaders at Moody Bible Institute yesterday to discuss how we can help stem the tide of the recent epidemic of killing of school children in Chicago. I learned that one very practical thing we can do is to urge our constituencies to volunteer to be "walking school buses" to ensure "safe passage" of children to school and to let our churches and buildings near schools be designated as "safe havens" for children. It is a police sponsored program that volunteers can participate in. The police department trains the volunteers and issues special police vests. To volunteer call 312-747-9987. I appreciate Joel Hamernick's thoughtful response to the discussions engendered by the statements of Rev. Jeremiah Wright. I, too, am saddened by the huge racial divide, especially among people who call themselves Christians. 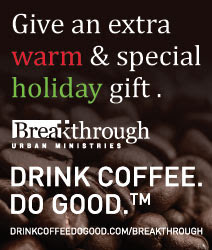 I recently received an email indicating that a Breakthrough donor is going to cut off donations to Breakthrough and other ministries that support African Americans because most African Americans are supporting Obama, who has been mentored by Rev. Wright! We have so much work to do in bridging the racial divide and at times, it seems especially now, it is very painful. I grieve. My people can be so cruel and "miseducated". Please forgive us! I have always tried to lead Breakthrough in a way that unites rather than divides Christians, but I am learning that there are times when we have to simply release people and pray for their reconciliation. I enjoyed being in the studio at Moody radio last week for the live production of their concert of prayer for the National Day of Prayer. It is really amazing to watch Anita Lustrea and producer, Joe Carlson, at work. They are great at what they do! We all felt the presence of God and the two hours of prayer and music by Steve Green flew by. You can listen to the program archives here. I had to right click on "listen" and download the programs to get the link to work. It doesn't seem to be streaming. There were lots of beautiful heartfelt prayers for racial reconciliation. Thanks to Jimmy Lee for linking me to this article in the Sun Times entitled, Moms, mayor, clergy march against violence. It highlights again the complicated issues that are causing the surge in violence against our children. Daley calls parents to take more responsibility, yet anyone who has raised kids knows how difficult it is to keep a teenager in the house. One of the kids in our program was struck on the head with a brick last weekend and is struggling for his life. Another youth was killed in the park at Fulton and Albany. It is certainly a call to action for those of us who are trying to provide activities and academic support for the youth in the community.